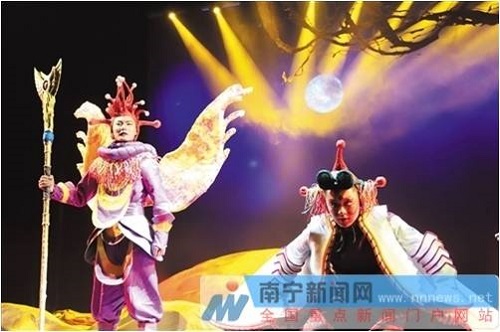 Recently, 2018 China-ASEAN (Nanning) Theatre Week was held in Nanning from September 7 to 13. With the “4+1” mode of performances, seminars, exhibitions, competitions and parties, the event was divided into seven main parts: China-ASEAN Excellent Drama Performance, “Golden Hall” China-ASEAN Outstanding Artists Special Art Show, China-ASEAN Art Competition, China-ASEAN Theatre Forum, China-ASEAN Youth Film Exhibition, China-ASEAN Traditional Art Exhibition and China-ASEAN (Nanning) Theatre Week Gala (Closing Ceremony). 2018 China-ASEAN (Nanning) Theatre Week has been listed as one of the activities of Nanning International Folk Song Arts Festival and China-ASEAN Culture Forum which is jointly held by Ministry of Culture and Tourism of the People's Republic of China and the People’s Government of Guangxi Zhuang Autonomous Region. Outstanding art colleges, art institutions, cultural institutions and scholars from China and ASEAN member states are welcomed to participate in and observe this grand event.